Hello there, I hope you have had a good weekend and are enjoying a good start to the week. Today I would like to share this card that I have made for my nephew. 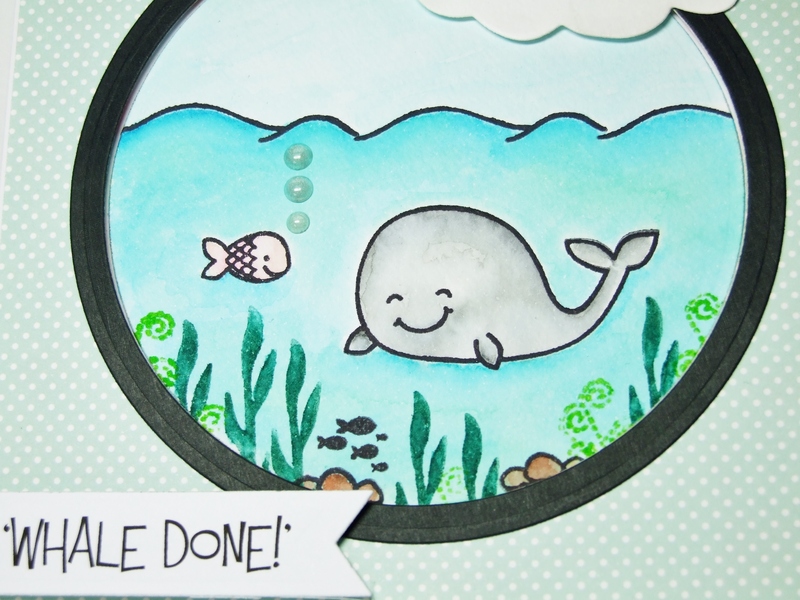 I bought this set called ‘Swim Team’ by Avery Elle last month and have been waiting for the opportunity to make a ‘whale done’ card ever since! 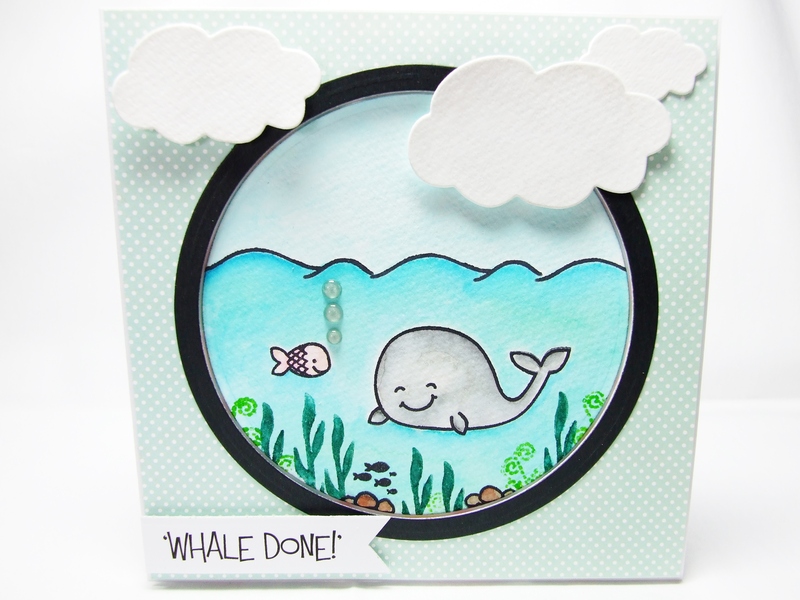 Well, the chance arose last week as my nephew got his GCSE results which were fantastic so I got to get my cute little whale stamp out to make him that card! I really love cards with puns although this set doesn’t actually include a ‘whale done’ stamp in it – I had to do that on the computer, though I’m sure I’ve seen cards where there’s been a whale on it with this sentiment on. Anyways, I just made a little scene here and coloured it with Spectrum Aqua Markers. I also used Spellbinders circle dies, Kaisercraft banner die and cloud die from My Favorite Things. The patterned paper is from ‘Sail Away’ by First Edition Paper/Trimcraft. < Previous Another snow pal! Next > ‘Happy Harry Snowman’…..
Whale Done Indeed! 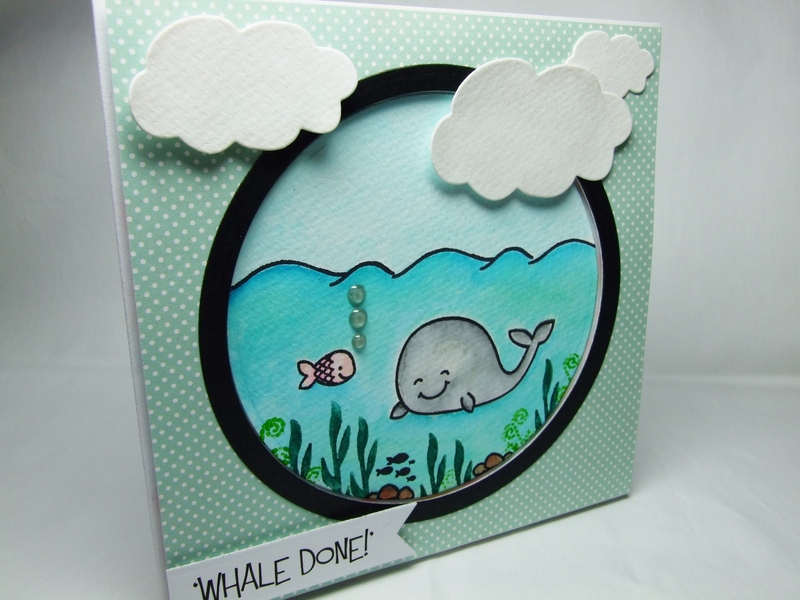 I know he will love his card – that whale makes me smile out loud!